If we encounter evidence from science that challenges the biblical creation account, how should we respond? As Adventist educators, we can’t shield our students from challenging information, but we have a responsibility to guide them to think clearly for themselves and to critically evaluate what they read or hear. Another milestone was James Watson and Francis Crick’s 1950s discovery of the structure of the DNA molecule. After that, it seemed that human beings now understood the instruction book that determined all the structures of cells and living organisms, and what directed the process of development from an egg to a mature animal. But that was a premature conclusion. We could refer to the past half century or so as the era of biochemistry and molecular biology, with its exponential growth in knowledge about the basis of life. Over the past 30 years, scientists have discovered that the complexities required for carrying out the necessities and vibrant activities in each cell are astounding. Much of what is happening inside of a cell can’t be directly observed but must be ferreted out with clever biochemical detective work. It has been enjoyable to attend research seminar presentations by molecular biologists and to learn about the increasingly insightful logic and laboratory procedures they use to discover what is going on in the recesses of a minute living cell. In time, it became evident that having the human genome sequence was only the tip of the iceberg. In fact, in some ways, we are just beginning to understand the biochemical symphony that is constantly underway in every living cell. Until fairly recently, it was believed that the instructions in DNA provided one-way control over the processes in the cell. DNA directed the formation of RNA, which made proteins. This concept was considered the central dogma of molecular biology.4 Scientists identified two types of genes, coding genes with the instructions (or code) for making specific proteins, and non-coding genes, which were sometimes called “silent genes” because they didn’t seem to do anything. Many of the non-coding genes were considered “junk DNA”—functionless leftovers from the process of evolution that could mutate and evolve into new genes, producing new proteins and eventually new structures and physiological processes in the course of evolution. Then researchers discovered another category of genes—regulatory genes, which regulate or control the coding genes by encoding a protein, RNA, or microRNAs (mRNAs). There is much more to that control process, but let’s not get ahead of our story. Small influences on the actions of regulatory genes can result in large changes in an animal, including controlling the timing of embryological development and thereby changing the phenotype. A simple example appears in the study of zebras. Timing of embryonic events apparently controls the stripe pattern in some zebras. The black-and-white stripe patterns on the lower back of the zebra Equus quagga are stretched out and unevenly spaced. This results because the back part of the embryo grows faster than the rest of it after the pattern is established. The stripe pattern in Grevy’s zebra, Equus grevyi, is not established until after that differential growth is completed. Consequently, the stripes in the adult of this species are more evenly spaced (see Figure 1).5 This change in the developmental process is known as heterochrony, which is simply a change in the timing of a developmental process. Other discoveries have contributed to improved understanding. The human genome is 98 percent non-coding DNA. If this is all junk DNA, it would imply that very little of our genome is functional. But over the years, regions of DNA formerly thought to contain junk DNA have been found to be regulatory regions, which control the action of coding genes.6 This change in thinking reached a turning point in September of 2012 at the completion of the massive government-funded ENCODE genetic-research project. After intensive study of the human genome, some 30 papers were published, which recognized that most of the formerly tagged “junk DNA” is functional and consists of types of regulatory regions.7 There are still vast unknowns regarding the genetic system, and future research may show that essentially all DNA is functional. All those regulatory genes and the biochemical pathways associated with them are not only functional, but important in controlling how, when, and where the coding genes make their proteins and how each protein integrates with other “building materials” in the cell. This can be compared to how engineers determine when and where to use bricks and other building material in a construction project. The same bricks can become part of a doghouse or a palace. The engineers are the regulatory system that decides how to use bricks to build the appropriate structure. In living cells, the regulatory genes, formerly interpreted as junk DNA, are the engineers that manage the activity of coding genes. This is truly a paradigm shift in progress. As a result, “junk DNA” is no longer a useful concept. Figure 1. Embryonic development and stripe patterns of the zebras Equus quagga and Equus grevyi (after Futuyma 1986). Reproduced by permission of the publisher from Faith, Reason, and Earth History: A Paradigm of Earth and Biological Origins by Intelligent Design, 3rd ed., by Leonard Brand and Arthur Chadwick. Copyright © 2016 by Andrews University Press. In recent years, rapidly advancing knowledge in biochemistry and molecular biology has been forcing a re-evaluation of evolutionary theory. Information-bearing molecules like hormones, DNA, and proteins are astonishingly complex. Rather than a single (DNA) information system, the genetic system has in recent years become vastly more complex because of the discovery of cell processes referred to as epigenetics. The blossoming field of epigenetics is revolutionizing genetics.9 Epigenetics, which means “above the genes,” is the study of processes outside of DNA that affect how DNA information is interpreted. The epigenetic system does not just read and blindly apply the DNA information. It uses information that the organism’s sensors have detected from its environment, and combines this with the DNA information to determine how to use the DNA to respond appropriately to the environmental cues.11 In this process, millions of chemical side groups in each cell, including methyl and acetyl, can be attached to specific places on DNA and associated molecules, and serve as chemical tags or markers that turn genes on or off, controlling whether each gene will be active, and if so, when and how. Genes are not always completely on or off—the tags also act like dimmer switches, varying the genes’ level of activity. Additional levels of intracellular management control where and when these tags will be associated with the DNA. A great example of epigenetic control involves the hormone cortisol. The reduction in this stressor in domesticated dogs has a large impact on the difference between domesticated dogs and wild wolves or foxes because of its involvement in these animals’ development. At a Silver Fox farm in Soviet Russia, Dmitry Belyaev, a Russian scientist, wanted to develop a more easily managed breed of foxes.12 Belyaev allowed only certain foxes to breed, selecting for only one factor, signs of tameness, i.e., lack of fear or aggressiveness toward humans. After only 10 to 18 generations, the foxes had changed their behavior and were much tamer. But this was only the beginning! They had also changed physically and physiologically. They developed floppy ears, shortened, curled tails, as well as a more dog-like snout (broader and shortened), piebald coat color (a black-and-white pattern), and began to sound like dogs. Some females came into estrus twice a year instead of once, as in wild foxes. These intracellular decisions, influenced by environmental cues, can be passed on to offspring for several generations. We can propose that this incredible epigenetic system was created to allow living organisms to adjust to environmental conditions. However, when the environment contains destructive elements, as it often has since the entrance of sin into our world, the epigenetic results can be unpleasant. An example of how epigenetics affects offspring for several generations comes from World War II. The Dutch Hunger Winter, or the Dutch Famine, occurred near the end of the war in 1944-1945, when German military took revenge on the uncooperative Dutch people by blockading part of their country during most of that winter, preventing them from receiving food or other supplies. More than 20,000 people starved to death, and the rest of the population was reduced to a starvation diet containing as little as 30 percent of the nutrition needed by a human body. The epigenetic system does not just read and blindly apply the DNA information. It uses information that the organism’s sensors have detected from its environment, and combines this with the DNA information to determine how to use the DNA to respond appropriately to the environmental cues. National health records revealed that children born during or soon after the Dutch Famine had specific health defects, depending on what portion of their embryonic development occurred during the famine.19 If a mother experienced the famine during the last few months of pregnancy, her baby was born small, remained small all of his or her life, and had a lower chance of obesity than normal. These children never fully recovered from their poor pre-birth nutrition. Those mothers who experienced the famine only during the early months of pregnancy usually had normal birth-weight babies who experienced higher-than-normal rates of obesity later in life as well as other health problems. Some of these effects were evident even into the second generation. Although the grandchildren of the malnourished mothers20 did not experience the famine, they were affected by the epigenetic carryover from a previous generation. An experiment with mice revealed epigenetically inherited behavior persisting for more than one generation. Mice were exposed to the mild odor of acetophenone, a chemical with a sweet smell. At each exposure to this odor, they received a mild shock to their foot several times a day for three days. They became fearful and would freeze whenever they smelled the odor, even if they did not receive a shock. Evolutionary scientists have been reticent to accept the notion that environmental factors could influence inheritance because it is difficult to reconcile this with Neo-Darwinian theory. For inheritance to be affected by the environment seemed like La­marckism, in which an organism passes on characteristics acquired during its lifetime (an idea proposed by Jean Bap-­­ tiste Lamarck, a contemporary of Charles Darwin). This concept is not compatible with Neo-Darwinism, but accumulating evidence supports the reality of heritable environmental effects on the genome. Why is this a problem for evolution to explain? If life forms arose with no designer or Creator, all new biological changes must begin as the result of random mutations, followed by natural selection. The mutation process must be random, meaning that it cannot comprehend what the animal needs, or it would be apparent that someone, somewhere in the process, knows what changes need to occur. But the new findings indicate that beneficial, inheritable changes can be initiated by environmental influence (now called Neo-Lamarckism), further indicating that the genetic/epigenetic system is designed to recognize, in a non-random way, what changes will be beneficial. Evolutionary scientists generally ignore this evidence,25 or discount it, or assume that somehow they will be able to explain it. Leonard Brand and Arthur Chadwick, Faith, Reason, and Earth History: A Paradigm of Earth and Biological Origins by Intelligent Design, 3rd ed. (Berrien Springs, Mich.: Andrews University Press, 2016), specifically chapters 8 and 10. Leonard R. Brand and Richard M. Davidson, Choose You This Day: Why It Matters What You Believe About Creation (Nampa, Idaho: Pacific Press Publ. Assn., 2013). Nessa Carey, The Epigenetics Revolution (New York: Columbia University Press, 2012). Richard C. Francis, Epigenetics: The Ultimate Mystery of Inheritance (New York: W. W. Norton and Co., 2011). Stephen C. Meyer, Darwin’s Doubt: The Explosive Origin of Animal Life and the Case for Intelligent Design (New York: HarperOne, 2013). James Shapiro, an eminent molecular biologist and committed evolutionary scientist, recently published a book entitled Evolution: A View From the 21st Century.26 His message is that molecular biology research in the past few decades has shown a level of complexity and cellular sophistication that is incompatible with Neo-Darwinian random mutations and natural selection as a means of change in living organisms, since it extends beyond minor variations. When sensors in the cell detect environmental cues, the molecular complex within the cell uses these cues to make decisions about how to interpret the DNA information and respond to the environment. Shapiro calls this natural genetic engineering and regards the evolution of intracellular system as a mystery, along with the origin of life. Traditional Neo-Darwinians criticize him, but he says, “their criticisms are philosophical, not scientific,”27 and lack empirical evidence and support. Their reliance on random mutations as the engine for evolution does not stand up to the growing evidence. The cell, Shapiro concludes, is too sophisticated for random mutations to be an effective process for evolutionary change. He has not become a creationist, but he is honestly trying to deal with the evidence in ways that are compatible with his worldview. This growth of knowledge about genetics brought with it an episode that can help us understand the proper relationship between science and the Bible. In 2005, after scientists sequenced the chimpanzee genome, some geneticists determined that chimpanzee genes and human genes were 98 to 99 percent similar (comparing only genes that are found in both species).28 It would seem, then, that humans are hardly any different genetically from a chimpanzee, and evolutionists asserted that this proved that humans and chimps had obviously descended from common ancestors. How could Christians argue against this evidence? Even before the final analysis of the chimpanzee genome, books were being published that struggled with the implications for Christians of this 98-percent similarity.29 Many Christians accepted the discovery as further evidence against biblical creationism, but it turned out to be an instructive case study in how to respond to troublesome evidence. As we discussed above, scientists found that all this non-coding DNA was not junk at all, but important, functional, regulatory, or structural nucleotides.32 Rather than the hu­man genome being mostly functionless junk, it is actually a massive, sophisticated control system with a complex of proteins and various types of RNA and chemical tags that direct the activity of the protein-coding genes. These epigenetic factors tell when, where, and how much of each protein is to be produced, and how they will connect to one another to make the parts of cells and of animal bodies. How naïve of us not to have realized long ago that such a control system was essential. Similar bricks can be used to make a doghouse or a pal­ace. In a similar way, proteins can be used to make a human, a chimpanzee, or a mouse depending especially on the instructions provided by the regulatory genes and epigenetics. A striking example of this principle has been demonstrated with the Pax6 gene that manages the development of the eye. Genes like this, which control development, are common to all Animalia. When the Pax6 gene is removed from a mouse and placed in the area of fly DNA where the jaw of Drosophila (a fruit fly) is supposed to form, it causes the formation of a compound fly-eye—not a jaw or a mouse eye but a fly-eye!33 It is obvious that this gene is so similar in mice and flies that the developmental system in the fly recognizes the mouse gene as if it were a fly gene. But since the genetic system in the fly is designed to make fly parts, not mouse parts, the fly cells make the eye of a fly. In like manner, the human genetic/epigenetic system is designed to use its proteins to make a human, not some other animal. We could expect it to still make a human, even if our protein coding genes were 100 percent similar to chimp genes, which they aren’t. These new genetic insights help explain how humans can be radically different from chimpanzees in spiritual, mental, and fine motor skills in spite of the similarity of our protein-coding genes. There is a significant lesson in this, for our view of theology. In 2005, we could have decided that our theology must accommodate the genetic evidence for human and chimpanzee evolution from common ancestors, as many Christians have done. Or we could base our theology on the Bible, stay with the Genesis creation account, and predict that new scientific discoveries will resolve more of our uncertainties. If we take the first approach and make contemporary scientific interpretations our standard, science is likely to move on and leave our theology without a foundation, just like the demise of junk DNA, which, within a period of a decade, left an empty place in the theories of those who took current discoveries too seriously. Additional scientific findings are building a stronger case for accepting creation. 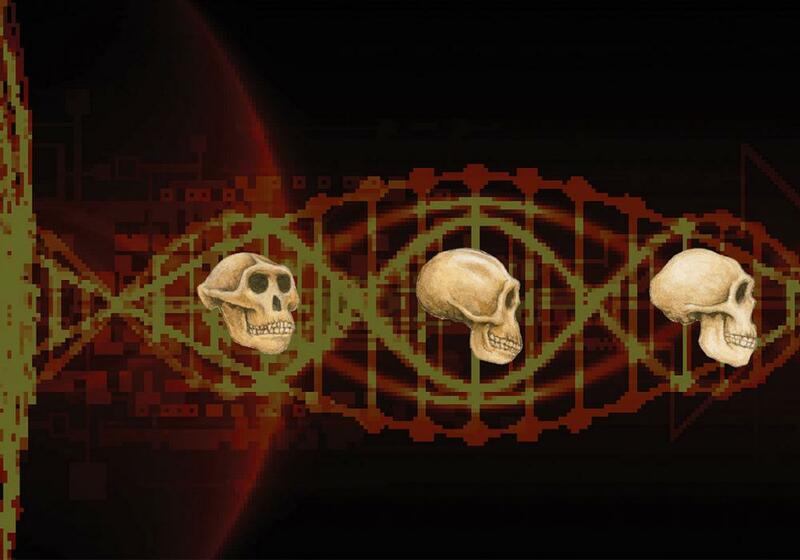 Conversely, those who were willing to wait patiently for new insights in genetics were rewarded by discoveries that greatly reduced the proposed reasons for accepting evolutionary conclusions about human and chimp relationships. Darwin’s theory was developed at a time of great biological naïveté combined with a rebellion against religious authority.35 Parts of the theory of evolution, including microevolution and speciation, are still valid and well supported. But modern discoveries in genetics and epigenetics are introducing more and more serious problems for the theory that major groups of organisms have arisen by evolution. However, evolution textbooks and technical scientific publications continue their persistent, authoritarian claims that life arose without a designer and diversified by processes of naturalistic evolution.36 It is becoming increasingly evident that these claims depend more on evolutionary or naturalistic assumptions than on evidence. More than ever before, it is not sufficient to just read and accept published claims, especially in assumption-dominated subjects like origins. It is imperative that we encourage our students to learn to critically evaluate scientific interpretations before accepting them. 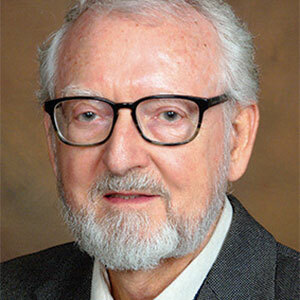 Leonard Brand, Ph.D., is Professor of Biology and Paleontology Sciences at Loma Linda University School of Medicine in Loma Linda, California. His current primary area of research is paleontology, specifically taphonomy—the study of how organisms become fossils. Dr. Brand teaches courses in Philosophy of Science and Origins, Vertebrate Paleontology, and Mammalogy. Other classes he previously taught include Animal Behavior, Taphonomy, Ichnology, Rocky Mountain Field Geology, and Dinosaur Biology and Fossil Record. He has co- authored several books such as Faith, Reason, and Earth History: A Paradigm of Earth and Biological Origins by Intelligent Design; Beginnings; The Prophet and Her Critics; and Choose You This Day: Why It Matters What You Believe About Creation. Carl Person, B.S. in biology, is in the final stage of his doctoral study in biology at Loma Linda University, with an emphasis on genetics and speciation. His Ph.D. dissertation research was on speciation in rattlesnakes. Leonard Brand, “Naturalism: Its Role in Science,” Origins 64 (November 2015):21-37. Ernst Mayr, What Evolution Is (London: Weidenfeld & Nicholson, 2002). International Human Genome Sequencing Consortium, “Finishing the Euchromatic Sequence of the Human Genome,” Nature 431 (October 2004):931-945. Francis H. C. Crick, “On Protein Synthesis,” Symposium of the Society of Experimental Biology 12 (1958):138-163. 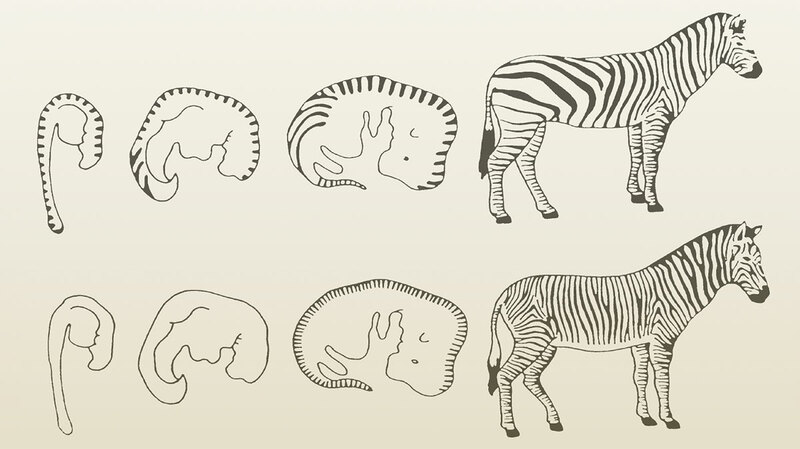 Jonathan B. L. Bard, “A Unity Underlying the Different Zebra Striping Patterns,” Journal of Zoology 183:4 (December 1977): 527-539; Pere Alberch, “Problems With the Interpretation of Developmental Sequences,” Systematic Zoology 34:1 (March 1985):46-58. Figure 1: after Douglas J. Futuyma, Evolutionary Biology, 2nd ed. (Sunderland, Mass. : Sinaur Associates, 1986). Claude-Agnès Reynaud et al., “Somatic Hyperconversion Diversifies the Single VH Gene of the Chicken With a High Incidence in the D Region,” Cell 59:1 (October 1989):171-183; Rachel Nowak, “Mining Treasures From ‘Junk DNA,’” Science 263:5147 (February 1994):608-610; Ayala Ochert, “Transposons: So-called Junk DNA Proves Its Worth: First in Corn, Now in Creatures Like Us,” Discover 20:12 (December 1999):59-66; Shinji Hirotsune et al., “An Expressed Pseudogene Regulates the Messenger-RNA Stability of Its Homologous Coding Gene,” Nature 423:6935 (May 2003):91-96. (See also comment on pages 26 to 28); Helen Pearson, “‘Junk’ DNA Reveals Vital Role,” Nature Science Update (May 2004): http://www.nature.com/nsu/040503/040503-9.html; Peter Andolfatto, “Adaptive Evolution of Non-coding DNA in Drosophila,” Nature 437 (October 2005):1149-1152 (See also comment on page xi); Katherine S. Pollard et al., “An RNA Gene Expressed During Cortical Development Evolved Rapidly in Humans,” Nature 443:7108 (September 2006):167-172 (See also comment on pages 149 and 150); Erika Check, “It’s the Junk That Makes Us Human,” Nature 444:7116 (November 2006):130, 131; John C. Sanford, Genetic Entropy and the Mystery of the Genome, 3rd ed. (Waterloo, N.Y.: FMS Publications, 2008). ENCODE, 30 papers published at the same time in scientific journals, including eight articles and reports in Nature 489 (2012):45-113. See especially: The ENCODE Project Consortium, “An Integrated Encyclopedia of DNA Elements in the Human Genome,” Nature 489 (May 2012):57-74. doi: 10.1038/nature11247; Xian-Dong Fu, “Non-coding RNA: A New Frontier in Regulatory Biology,” National Science Review 1:2 (June 2014):190-204. doi: 10.1093/nsr/nwu008. W. Ford Doolitle, “Is Junk DNA Bunk? A Critique of ENCODE,” Proceedings of the National Academy of Sciences USA 110:14 (April 2013):5294-5300; Alexander F. Palazzo and T. Ryan Gregory, “The Case for Junk DNA,” PLoS Genetics 10:5 (May 2014):e1004351. doi: 10.1371/journal.pgen.1004351. C. David Allis, Thomas Jenuwein, and Danny Reinberg, eds., Epigenetics (Cold Spring Harbor, N.Y.: Cold Spring Harbor Laboratory Press, 2007); Richard C. Francis, Epigenetics: The Ultimate Mystery of Inheritance (New York. : W. W. Norton and Co., 2011); Nessa Carey, The Epigenetics Revolution (New York. : Columbia University Press, 2012); Thomas E. Woodward and James P. Gills, The Mysterious Epigenome: What Lies Beyond DNA (Grand Rapids, Mich.: Kregel Publications, 2012). Nelson R. Cabej, Epigenetic Principles of Evolution (London: Elsevier, 2012). Ibid. ; Massimo Pigliucci and Gerd B. Müller, Evolution: The Extended Synthesis (Cambridge, Mass. : MIT Press, 2010); James A. Shapiro, Evolution: A View From the 21st Century (Upper Saddle River, N.J.: FT Press Science, 2011). Lyudmila Trut, “Early Canid Domestication: The Farm-fox Experiment,” American Scientist 87:2 (March-April 1999):160-169; Raymond Coppinger and Lorna Coppinger, Dogs: A New Understanding of Canine Origin, Behavior, and Evolution (Chicago: The University of Chicago Press, 2001):63-67. Lyudmila Trut, Irina Oskina, and Anastasiya Kharlamova, “Animal Evolution During Domestication: The Domesticated Fox as a Model,” Bioessays 31:3 (March 2009):349-360. Allis et al., Epigenetics, op. cit. ; Francis, Epigenetics: The Ultimate Mystery of Inheritance, op. cit. ; Carey, The Epigenetics Revolution, op. cit. ; Woodward and Gills, The Mysterious Epigenome: What Lies Beyond DNA, op. cit. Shapiro, Evolution: A View From the 21st Century, op. cit. Francis, Epigenetics: The Ultimate Mystery of Inheritance, op. cit. ; Carey, The Epigenetics Revolution, op. cit. Exodus 20:5 and Deuteronomy 5:9 (NIV). Unless otherwise indicated, Scripture quotations credited are from the New International Version (NIV). Holy Bible, New International Version®, NIV® Copyright © 1973, 1978, 1984, 2011 by Biblica, Inc.® Used by permission. All rights reserved worldwide. Virginia Hughes, “Epigenetics: The Sins of the Father,” Nature 507:7490 (March 2014): 22-24. 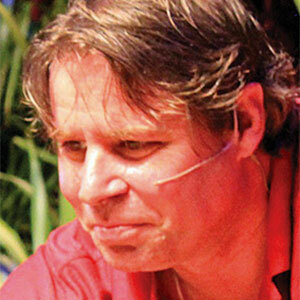 Carey, The Epigenetics Revolution, op. cit., pp. 2-4, 101-103. Hughes, “Epigenetics: The Sins of the Father,” op. cit. ; Brian G. Dias and Kerry J. Ressler, “Parental Olfactory Experience Influences Behavior and Neural Structure in Subsequent Generations,” Nature Neuroscience 17:1 (December 2013):89-96. Carey, The Epigenetics Revolution, op. cit. ; Carlos Guerrero-Bosagna et al., “Epigenetic Transgenerational Inheritance of Vinclozolin Induced Mouse Adult Onset Disease and Associated Sperm Epigenome Biomarkers,” Reproductive Toxicology 34:4 (October 2012):694-707. Cabej, Epigenetic Principles of Evolution, op. cit., pp. 670-679. Ibid., pp. 596-608; W. R. Jeffrey, “Adaptive Evolution of Eye Degeneration in the Mexican Blind Cave-fish,” Journal of Heredity 96:3 (January 2005):185-196. Leonard Brand and Arthur Chadwick, Faith, Reason, and Earth History, 3rd ed. (Berrien Springs, Mich.: Andrews University Press, 2016), specifically chapters 8 and 10. Ibid., Shapiro, Evolution: A View From the 21st Century, p. 56. The Chimpanzee Sequencing and Analysis Consortium, “Initial Sequence of the Chimpanzee Genome and Comparison With the Human Genome,” Nature 437:7055 (September 2005):69-87. Jonathan M. Marks, What It Means to Be 98% Chimpanzee (Berkeley, Calif.: University of California Press, 2002). The Chimpanzee Sequencing and Analysis Consortium, op. cit. Jennifer F. Hughes et al., “Chimpanzee and Human Y Chromosomes Are Remarkably Divergent in Structure and Gene Content,” Nature 463:7280 (January 2010):536-539. doi: 10.1038/nature08700; see also: Marta Tomaszkiewicz et al., “A Time-and Cost-Effective Strategy to Sequence Mammalian Y Chromosomes: An Application to the De Novo Assembly of Gorilla Y,” Genome Research (March 2016): 530-540. doi:10.1101/gr.199448.115. ENCODE, op. cit. ; The ENCODE Project Consortium, op. cit. ; Xian-Dong Fu, “Non-coding RNA: A New Frontier in Regulatory Biology,” op. cit. Georg Halder, Patrick Callaerts, and Walter J. Gehring, “Induction of Ectopic Eyes by Targeted Expression of the Eyeless Gene in Drosophila,” Science 267:5205 (March 1995):1788-1792; Walter J. Gehring, “New Perspectives on Eye Development and the Evolution of Eyes and Photoreceptors,” Journal of Heredity 96:3 (March 2005):171-184.
so, “Evolution: A View From the 21st Century,” op. cit. ; Denis Noble, “Physiology Is Rocking the Foundations of Evolutionary Biology,” Experimental Physiology 98:8 (August 2013):1235-1243. doi: 10.1113/expphysiol.2012.071134; Stephen C. Meyer, Signature in the Cell: DNA and the Evidence for Intelligent Design (New York: HarperOne, 2009); __________, Darwin’s Doubt: The Explosive Origin of Animal Life and the Case for Intelligent Design (New York: HarperOne, 2013). Leonard Brand, “Naturalism: Its Role in Science,” op. cit. Brand and Chadwick, Faith, Reason, and Earth History, op. cit.